Daffodils or Jonquils? What is the difference? 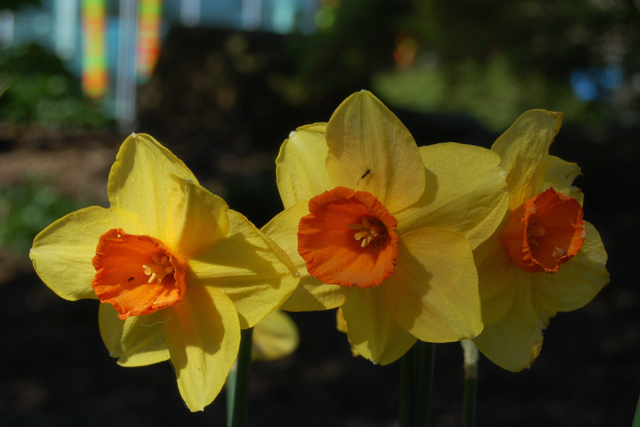 Do you enjoy a springtime walk amidst sunny Daffodils … or are those Jonquils? Yes, I ‘m guilty, too. 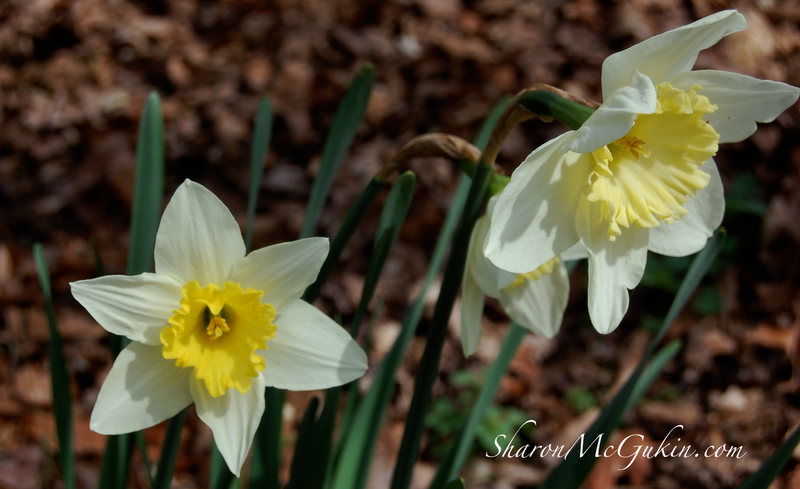 I often use the names, daffodil and jonquil, interchangeably when referring to these happy-faced flowers of early spring. As the first flowers to pop up beneath the brown branches of a waning winter, they offer us hope that warmer weather will soon be arriving. 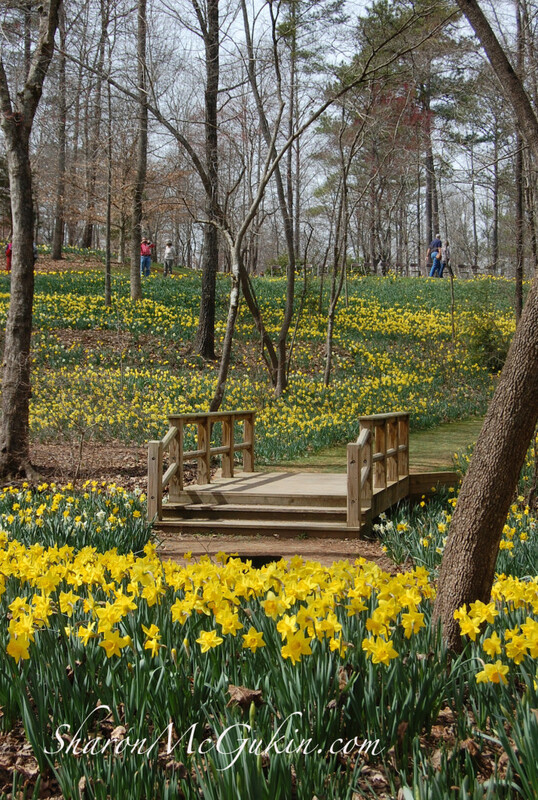 Millions of daffodil bulbs in bloom at Gibbs Gardens in Ball Ground, GA. There is something magical about a field of daffodils waving back and forth in the breeze; a kinetic energy that seems to summon forth spring. 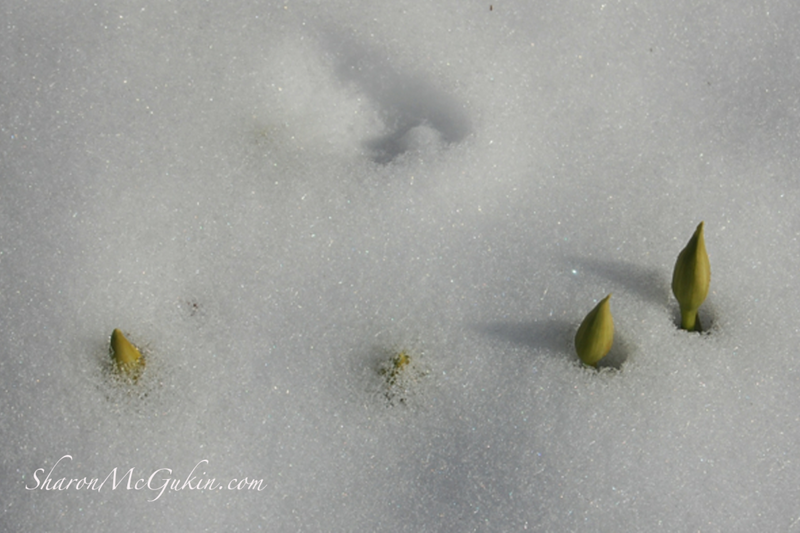 Daffodils peeping through the snow. Interestingly, our hardy flowering friends are able to withstand chilly temperatures or even an early spring snowstorm due to the fact that they are capable of adapting to weather changes. 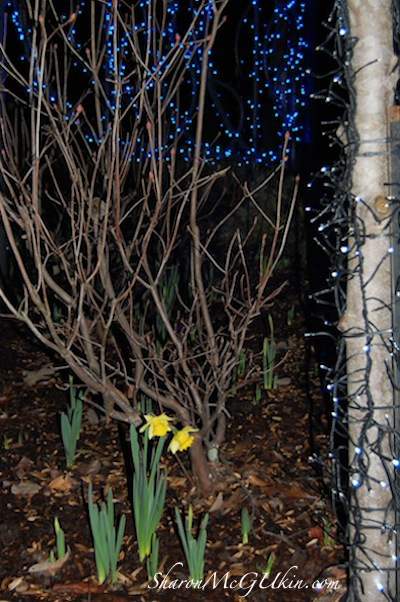 Similar to the way anti-freeze lowers the water temperature within a car to protect it from freezing, some spring bulbs – including daffodils are prepared to adapt. Cold weather can trigger a change in plant chemistry that offers protection. By utilizing changing fatty substances within, the stems are able to remain pliable and continue to utilize their nutrients and water in spite of intensely cold temperatures. In fact, when we have a particularly warm sunny December here in Georgia, Daffodils can occasionally be seen popping up alongside the Christmas decorations. This photo was taken at the Atlanta Botanical Gardens ‘Holiday Tour of Lights’. 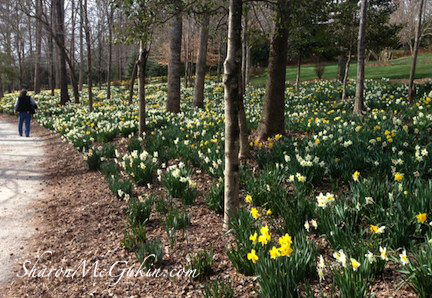 A peaceful walk among the daffodils at Gibbs Gardens. Misnaming these perky flowers is a common mistake my Southern friends and I often make. Still … pretty is pretty …. regardless of the name it is called. We enjoy wandering through our gardens happily picking jonquils or daffodils (whichever) without giving a thought to the difference between the two varieties. Whether it’s a signature yellow or a crisp white sporting a colorful trumpet, we fall in love with the dancing ladies of the fields, again each spring. 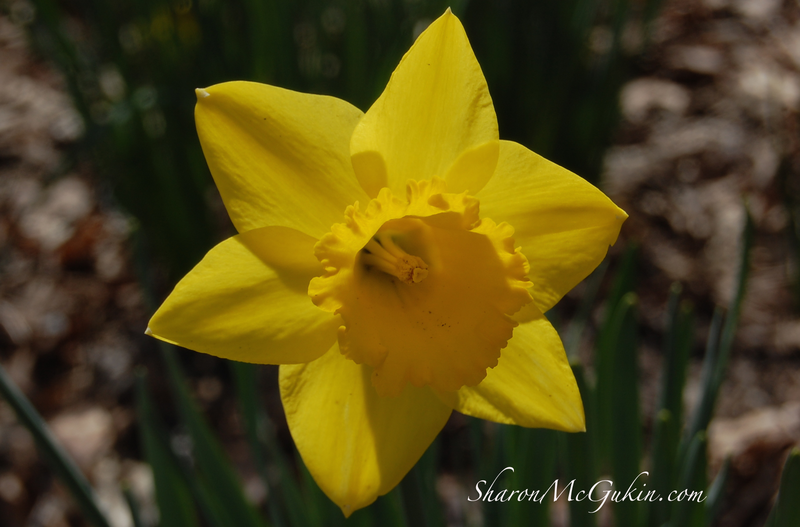 Daffodils – the first smiling faces of Spring. 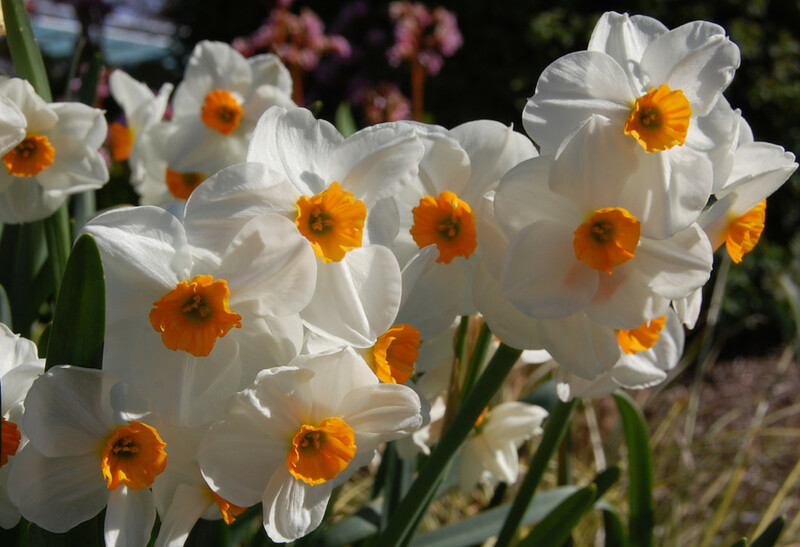 These beautiful floral cousins are members of the Narcissus genus, as are thousands of other varieties in their extended bulb family. The Narcissus relatives are a part of the Amarylis family. While is perfectly correct to call both Daffodils and Jonquils by the Narcissus name, more often – we use that name for Paperwhites at Christmas. Double cupped beauties in Holland. 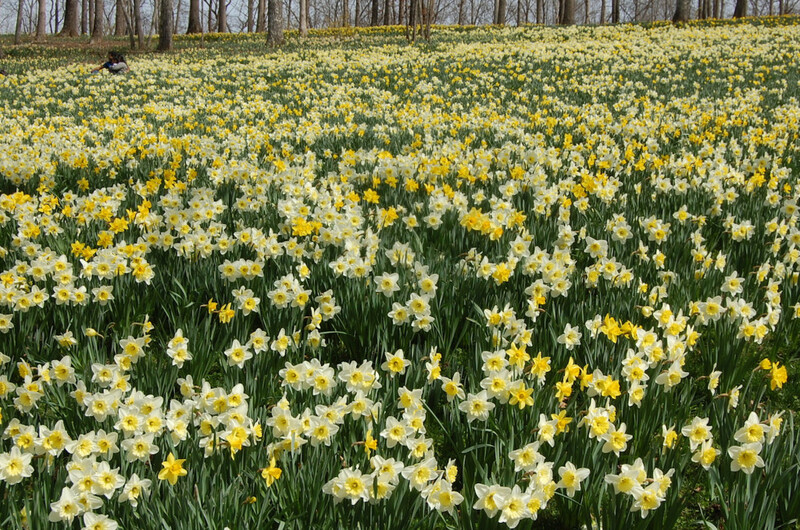 We could accurately call all Narcissus blooms Daffodils, if we chose to. However, we typically reserve the name for the yellow flowers with a large trumpeted and big bloom. We love to gather bundles of these flowers for our table vases or bouquets to carry on special occasions. Daffodils love growing wild in woodlands and meadows. They are a perfect choice for a casual bouquet in a woodland themed Spring wedding. 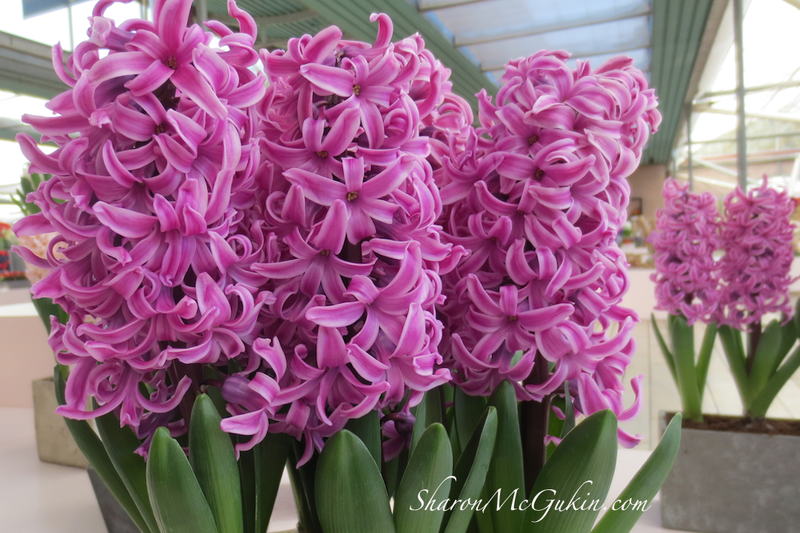 Hyacinths add fragrance to Spring. There are actually thirteen divisions of beautiful relatives that share the Narcissus family name such as the fragrant Hyacinth. Another early omen of spring, offering a celebration of color against fading winter skies. A word to the wise – one trait all Narcissus share is that any part of the bulb, stem, foliage or flower is poisonous if eaten. Interestingly, in my own flowerbed one spring, I watched as a Groundhog pulled up a Hyacinth bulb, took one bite and threw it down. Apparently, it was bitter tasting. I thought he was just a picky eater and was glad he didn’t stay for lunch!! 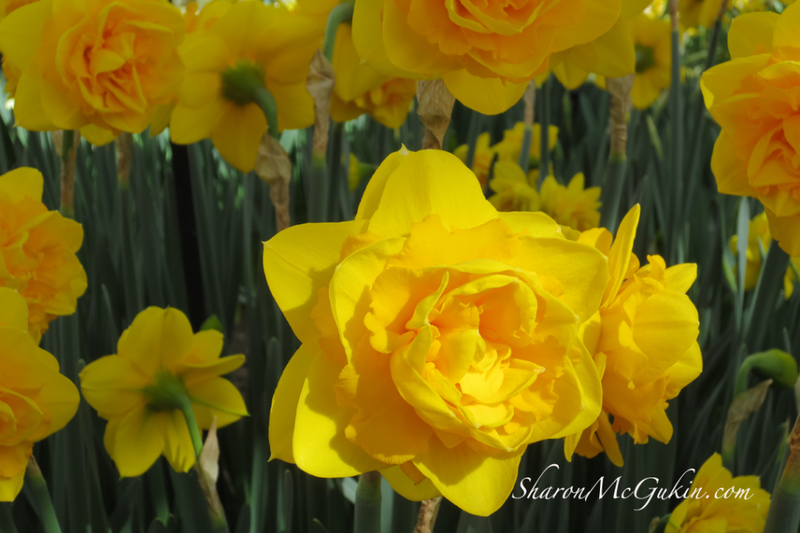 How can we tell the difference between a Daffodil and a Jonquil? While Daffodils sport flat leaf blades, our friend the Jonquil has dark green, tube-shaped leaves. 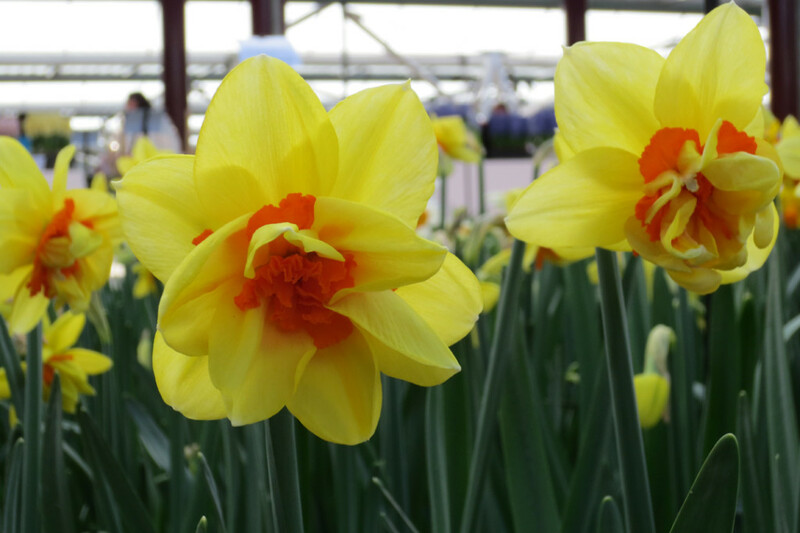 Another easy to recognize characteristic is that Jonquils have a tendency to have clusters of smaller blooms vs the singular large blooms of the Daffodil. 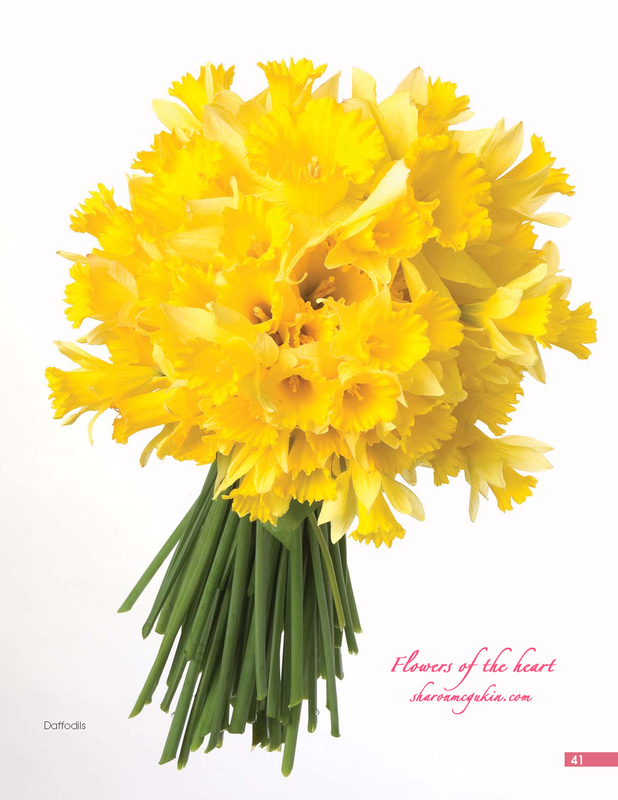 Also, the Daffodil has a long, trumpet-shaped corona, while the Jonquil has a short corona. Both varieties are beautiful and a great way to welcome Spring! Please share your ideas and comments with us.